Manamune is an item built for just one champion. Why is it still in the game? 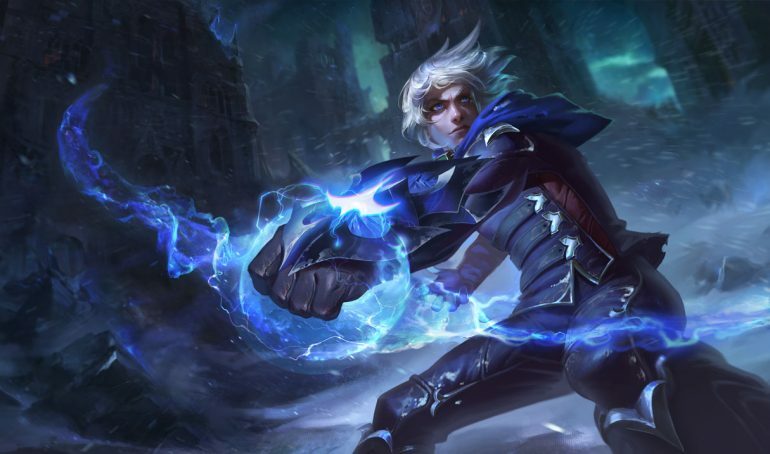 In Patch 9.6, Riot Games made a big change to one of the most dominant marksman in League of Legends: It killed the double-Tear Ezreal build. Specifically, Tear of the Goddess and its upgraded items were put into a special group where buying one Tear precludes players from purchasing a second. Riot described this as a “better solution” than just straight-nerfing Ezreal, who has been extremely oppressive with two Tear items, especially at the highest ELOs and in competitive play. The logic makes sense—Ezreal was the only person that really builds two Tears. And this nerf will hurt. Ezreal is played not only because of his early safety but because of his insane late game, where two Tears give him a massive mana pool and cause both his basic attacks and Mystic Shots to hit like a truck. Add in a blink on his E and the shield from Seraph’s Embrace, and you get an extremely safe, extremely high-damage late game carry. Not being able to buy a second Tear after competing the evolution to Muramana will likely steer Ezreal back to AD builds featuring some combination of Sheen items and Blade of the Ruined King. Hextech Gunblade is probably dead on him as well. This version of Ezreal is still strong in the mid game, but will fall off much harder. He should be okay, but he likely won’t be a top-tier marksman anymore, and teams that don’t know how to accelerate him will likely pass him up entirely. Finally, this nerf doesn’t actually fix that key issue with Manamune and Muramana. The biggest problem with these items is that Ezreal is pretty much the only one building them. Lucian, another popular AD caster who likes extra mana, has only one real AP ratio, on his W. Kog’Maw has AP ratios galore, but buying Tear delays his Rageblade power spike too long. Poke Varus’ cooldowns were extended so he can’t stack Tear anymore. An item that is useful on just one champion is going to be problematic for balance no matter what. If Riot wants to put Ezreal in a better spot, it needs to rework Manamune and Muramana first.